In our experience, mental disabilities tend to be some the most disabling conditions, which often prevent Veterans from even being able to do sedentary work. Mental disabilities including depression, Anxiety, bipolar disorder and schizophrenia are complex cases that can be further complicated because they often co-exist with PTSD or TBI. Therefore, if you or a family member suffer from a mental disability that you believe is related to military service and the VA has denied your claim for disability benefits, then please do not hesitate to contact our office at 1-888-878-9350 today to learn more about how we can help you get veterans disability benefits. How Do I Get VA Benefits for Psychiatric Disabilities such as Depression, Anxiety, Bipolar Disorder & Schizophrenia? In general, in order to get VA benefits for a psychiatric disabilities such as depression, anxiety, bipolar disorder or schizophrenia, you need to establish the main elements of service-connection between your psychiatric disability and your time in the military. First, you need to get a current diagnosis of a mental disability. You must be diagnosed with a mental illness other than a personality disorder. The VA will not grant disability benefits for a personality disorder because they are considered to be a condition you are born with and thus not caused by your time in the military. Second, you need evidence of an in-service occurrence or aggravation of a disease, injury or precipitating event. Third, you must establish a link between the in-service event and the current mental disability. 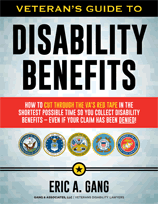 A mental disability does not have to be your primary disability type in order to get VA benefits. For instance, if you are service-connected for a knee condition and a low back condition that produces such severe chronic pain as to cause depression, then you can get service-connection for the depression secondary to the service-connected chronic pain from your physical disabilities. 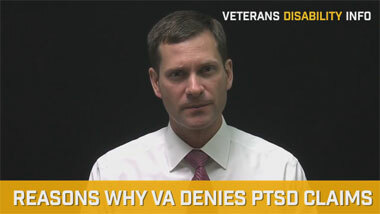 Why Did the VA Deny My Psychiatric Disability Benefits Claim? 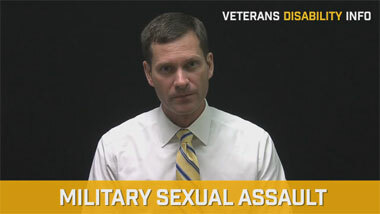 You should know that if a Veteran seeks benefits for one type of mental disorder and it turns out during the processing of his claim or appeal that he really suffers from a different type of mental disorder, the VA cannot simply deny the claim on the grounds that the diagnosis doesn’t match the psychiatric disability claim. A claim for one mental disability should be interpreted broadly. Therefore, if you are denied because you do not have a mental disability that is consistent with how you labeled the claim, but you have another type of mental disability, then you can re-characterize your claim to include that other mental disability and the VA must consider it. How Can the Law Firm of Gang & Associates Help Me? Veterans with psychiatric disabilities are particularly vulnerable because they often have a reduced capacity to handle stress, can be paranoid and less able to think logically, especially during stressful times. A lawyer can help reduce the stress of dealing with VA because they can be a buffer between the Veteran and the VA. Attorney Eric A. Gang has deep and proven experience as a veterans disability lawyer in helping Veterans with psychiatric claims or a mental disability. We have won many cases over the years for psychiatric disabilities that occurred as a result of chronic pain associated with a service-connected disability. In other cases, we have been able to prove that something in service took place based on symptoms that are described in the service treatment records. We have also built relationships with many psychiatric professionals who can help you build your case for veterans disability benefits. If we decide to work together, we promise that we will never hand your claim to a secretary or legal assistant, as many law firms do. Now isn’t the time to play those games. We will work together to build the strongest case possible. So when we come up against the government’s lawyers, we’ll be ready to shoot down whatever evidence and objections they raise. You can depend on it!